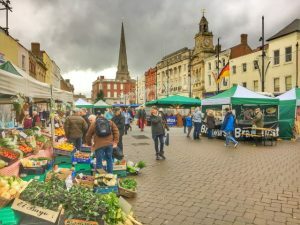 Do you own a business in Hereford or are you planning to set up your business in this locality? Whatever be the scenario, in both the scenario you require an auditor who can help you to take the decisions. If you are setting up your business and facing legal issues then our accountants will be there to help you out. If you already owned a business then you need to manage your finances, cash flows and books of accounts. So, how will you do so many things without any help of an expert? So, that’s why Miranda Management and Accountancy Services Limited are here to help you out. At Miranda Management and Accountancy Services, we have a team of certified chartered accountants. Our accountants are proactive, dynamic and professional in nature. So, they know how to serve you the best solution. We analyze our client’s business in a different prospect so that they can stand alone in this competitive market. In short, we are all round solution for all your business needs. We are the one of the best accounting service provider in London. We have started as a small startup company in Richmond. Now we have two offices in London. One is in Richmond another one is in Uxbridge. Basically we are operating from London but now we are providing our services in England too. So, what are you waiting for?? Contact us Now for further discussion.